Lay your head to rest. 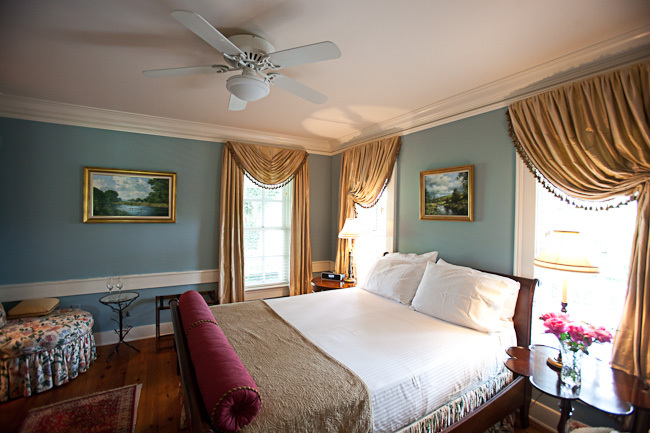 The Farmhouse’s eight guest rooms and suites reflect the style and charm of its 19th Century beginnings blended with the comfort of modern day amenities. Our goal is to provide top level dining and service in a relaxing yet luxurious atmosphere. Please note, none of our guest rooms are suitable for children. The Barn Cottage has two bedrooms, two bathrooms, an attractive living room with a fireplace and also a full kitchen. The porch is the ideal place to sit with a glass of wine while enjoying the rural view and the vineyard. The first bedroom has a King size bed which overlooks the sheep field and the Viognier vineyard. The second bedroom is smaller with a Queen size bed. The Barn Cottage is a perfect spot for couples or family traveling. 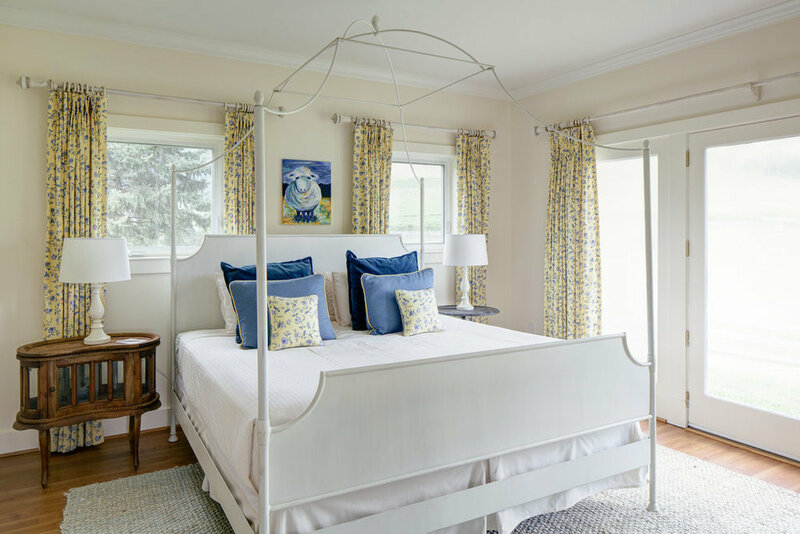 It's cozy country charm makes it the perfect retreat.